This BimlFlex webinar looks at Multi-Active Satellites in Data Vault. Some would argue that multi-active breaks the Satellite pattern. After all, the context is not directly describing the business key anymore. Data Warehousing at the best of times is a complex undertaking and BimlFlex has been specifically designed to simplify the development process and subsequent maintenance. Which approach should I pick? The approach to follow largely depends on your personal preferences and (almost philosophical) views. Multi-active functionality (i.e. the 'scenario 1') will be hidden by default in a future release of BimlFlex (still supported however). It does appear that the traditional multi-active concept comes with certain challenges for many people. It's a recurring topic in the trainings I host, and I have seen it go wrong in various projects. The reason seems to be that in these cases the selected multi-active key wasn’t as immutable as first thought, which can lead to overloading complexity when querying data from the Data Vault. This BimlFlex webinar looks at Business Keys and Relationships in BimlFlex. Business Keys are a core concept in Data Vault modelling and allows the modeler to focus on defining entities and relationships based on the business process focused keys rather than the technical keys from the source system. This allows easier cross-system integration in the Data Vault. The video starts with a short overview of the Business Key concept and introduces the more pragmatic Integration Key concept as an alternative. Enterprise Wide Business Keys that uniquely and distinctly identifies an entity or process are rare in real world scenarios. Focusing on defining keys that are suitable for the Data Warehouse enables an agile implementation approach. The BimlFlex development workflow allows the modeler to import metadata from a source system and automatically derive Business Keys and relationships. 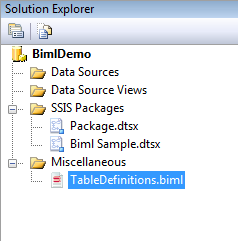 Once these are defined and any other required metadata manipulations are defined it is possible to use BimlStudio to build the code required for the Data Warehouse implementation. While the Enterprise Wide Business Key is the design goal for a Data Vault based model it is rare to directly find these directly available in existing source systems. For an agile, pragmatic approach it is possible to focus on defining integration keys. These keys allow cross system integration into the Data Vault. They allow modelling to ensure that no false positive matches are created between systems and allow a later matching process using Same-As Links (SAL). Once these keys are defined and available it is possible to match entities using rules or Master Data Management. When different sources use the same keys or codes that have the same values but different meaning they are not possible to directly use as Business Keys since that will implicitly match records that don't match the same business entity. BimlFlex allow the modeler to add the connection record source code to the key so that they uniquely identify the entity. This is done using the BimlFlex function FlexToBk() where BimlFlex automatically builds a concatenated string representation of the business key from source fields and codes. In the case of a source having a ProductID key, the expression FlexToBk(@@rs, ProductID) will build a unique key for the Data Vault. BimlFlex implements a single key modeling approach. Any Business Key in the Data Warehouse is a single string representation of any source attribute. For keys with multiple parts they are concatenated using the configurable concatenator character using the FlexToBk() function. This allows any source system using any configuration to populate the Core Business Concept with values. As this is the only way to guarantee future integration with unknown sources it is enforced throughout BimlFlex. All attributes that are used to build the Business Key are also by default stored in their source formats in the default Satellites. References are used by BimlFlex to accelerate and build Links for Data Vault. They allow relationships to be defined in metadata. A column defined in the metadata can reference another objects Primary Key. These are used by BimlFlex to accelerate and build Links for Data Vault implementations. A reference can only refer to another tables Primary Key. The Data Vault accelerator only builds a Data Vault based on the Business Keys. In BimlFlex this means that the metadata uses the Business Key column as both the Primary Key definition and the Business Key definition for an Object. The Import Metadata dialog is able to create Business Keys and redefine the source relationships to Business Keys relationships automatically. It is also possible to create and define them manually using the Create Business Key function and the Reference Table and Reference Column Name fields. Once the Business Keys and relationships are defined in the metadata for the source system it is possible to use the Data Vault Accelerator in BimlFlex to preview and build the Data Vault. Define the Accelerator options and preview the Data Vault to review the resulting model. refine the metadata and update the preview for any required tweaks and publish the metadata once it matches the required destination logical model. Implementing a Data Vault project may seem daunting for many of you, however, if you break it down into smaller more Agile deliverables, it is quite achievable. Agile, is about creating business value through the early and frequent delivery of integrated data while responding to change. BimlFlex accommodates Agile’s emphasis on collaboration and incremental development by introducing Model Groupings to our Data Vault Accelerator. In this short webinar, we demonstrate how you can use the new ModelGroup attribute to accelerate in scope sections of your model. It is my opinion that the first step in building a Data Vault is to start by modelling the target and the best approach that I have used is ELM. For me, the easiest way to get the core logical model defined is to use the easiest "low" tech approach quite often pen and paper or if you are fancy sticky notes and a whiteboard. Quite often I'm in a meeting with customers and we will just be having a chat. In that time I will just listen for keywords and either write them down or just type them in notepad. The meeting rooms now all seem to have bigger and bigger screens so why not use it to create a logical model as you go. In this webinar, I'm using completely free software to show you how easy it is to create a logical model in minutes without complex software, it really is as simple as writing notes.